2019 Tyler Reddick #2 Pinnacle / Chevrolet Camaro NASCAR 1/24 diecast, by Action Lionel. The Richard Childress Racing #2 Pinnacle Financial Partners Chevrolet Camaro will be raced by Tyler Reddick during the 2019 NASCAR xfinity Series season. 2019 Tyler Reddick #2 Pinnacle / Chevrolet Camaro NASCAR 1/64 diecast, by Action Lionel. The Richard Childress Racing #2 Pinnacle Financial Partners Chevrolet Camaro will be raced by Tyler Reddick during the 2019 NASCAR xfinity Series season. 2018 Tyler Reddick #9 BurgerFi / NASCAR xfinity Series Champ / Chevrolet Camaro NASCAR 1/24 diecast, by Action Lionel. This #9 BurgerFi diecast car features the 2018 NASCAR xfinity Series Championship logo on the roof and comes with a collector card, championship confetti and ships in a custom window box. Tyler Reddick, the 2018 NASCAR xfinity Series Champion! 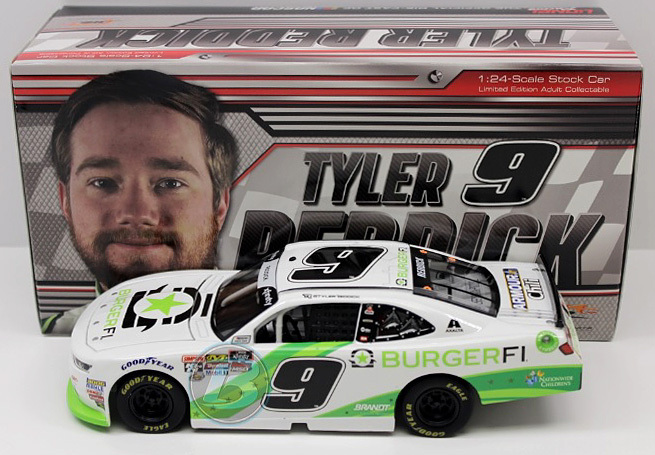 Autographed version available $59.99 (1 of 288) - Autographed by Tyler Reddick. 2018 Tyler Reddick #9 BurgerFi / NASCAR xfinity Series Champ / Chevrolet Camaro NASCAR 1/64 diecast, by Action Lionel. This #9 BurgerFi diecast car features the 2018 NASCAR xfinity Series Championship logo on the roof and comes with a collector card, championship confetti and ships in a custom window box. Tyler Reddick, the 2018 NASCAR xfinity Series Champion! 2018 Tyler Reddick #9 BurgerFi / Homestead Win / Raced Version / Chevrolet Camaro NASCAR 1/24 diecast, by Action Lionel. 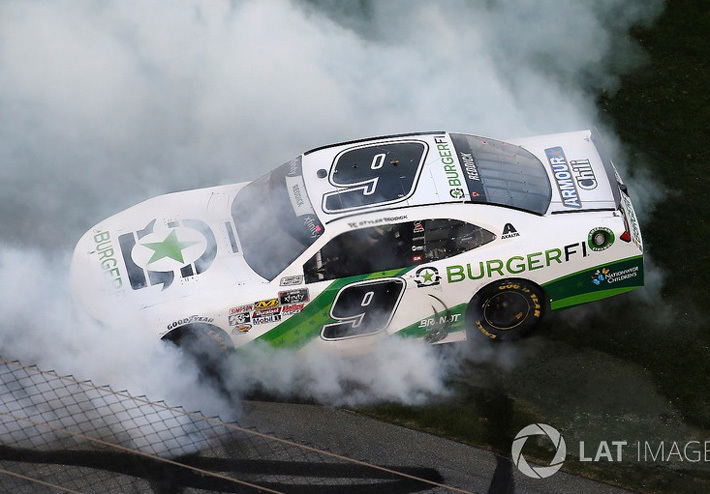 Tyler Reddick raced this JR Motorsports #9 BurgerFi Chevrolet Camaro to victory in the NASCAR xfinity Series, Ford EcoBoost 300 at Homestead-Miami Speedway on November 17, 2018. 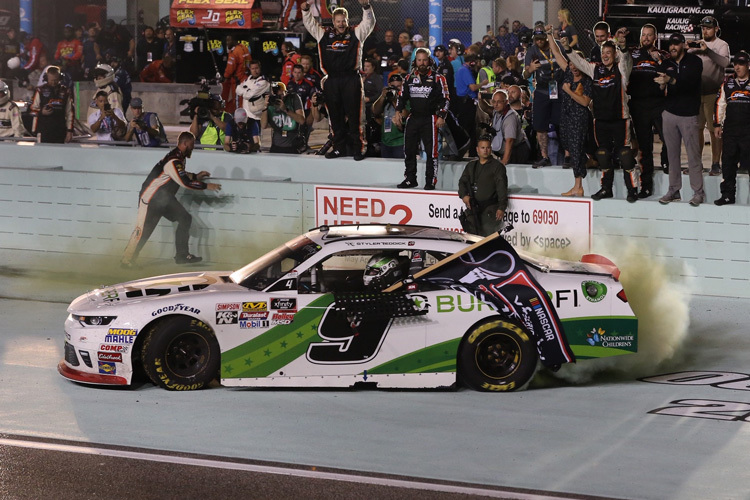 Tyler Reddick captured the 2018 NASCAR xfinity Series Championship at Homestead-Miami. This diecast car will come with a bag of confetti from Victory Lane and race winner decal. Autographed version available $64.99 (1 of 408) - Autographed by Tyler Reddick. Autographed version available $59.99 (1 of 240) - Autographed by Tyler Reddick, on the windshield in Silver. Includes an Action Racing Collectables certificate of authenticity and JR Motorsports hologram. 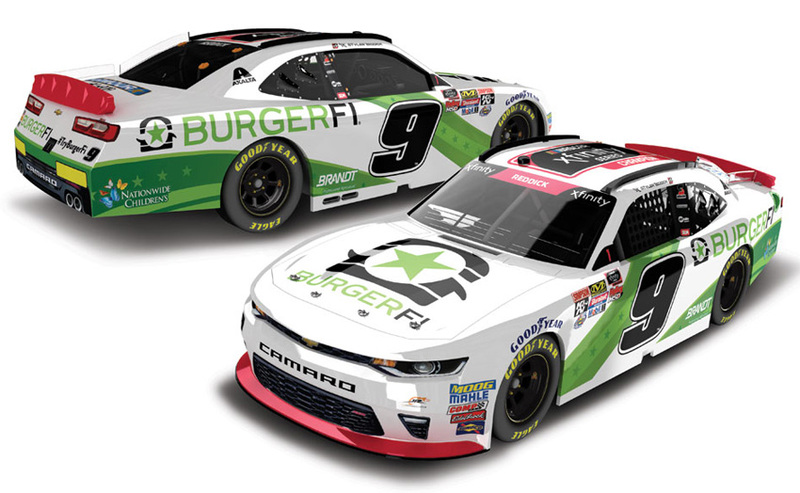 2018 Tyler Reddick #9 BurgerFi / Daytona Win / Raced Version / Chevrolet Camaro NASCAR diecast, by Action Lionel. 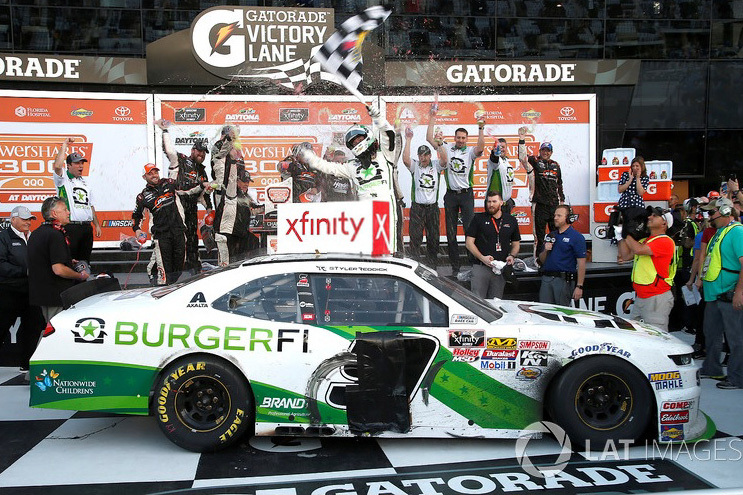 Tyler Reddick raced this JR Motorsports #9 BurgerFi Chevrolet Camaro to victory in NASCAR xfinity Series, powerSHARES QQQ 300 at Daytona International Speedway on February 17, 2018. This diecast car comes with an official, actual size race winner decal.